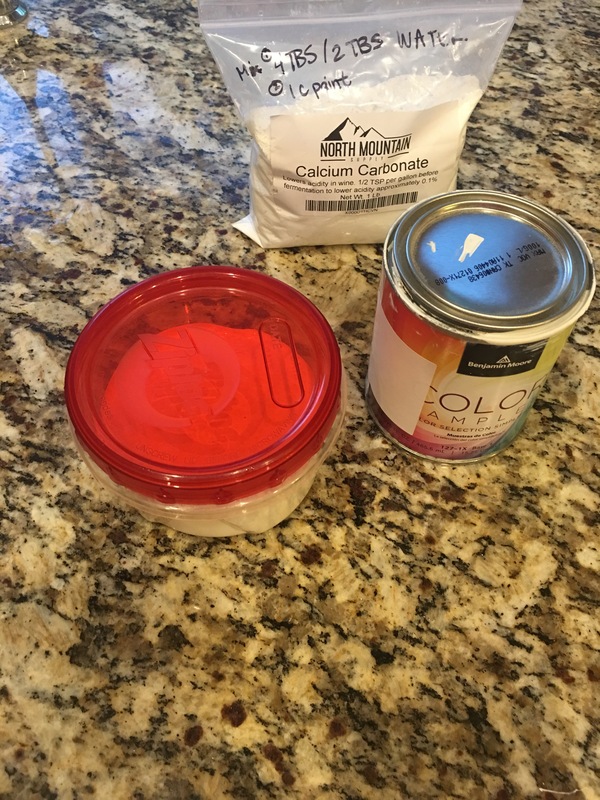 I’m starting a 3 part series on chalk paint! The do’s and don’ts and the how to’s! I’ll be dispelling the myths, and offering some handy tips to make your projects go smoother! 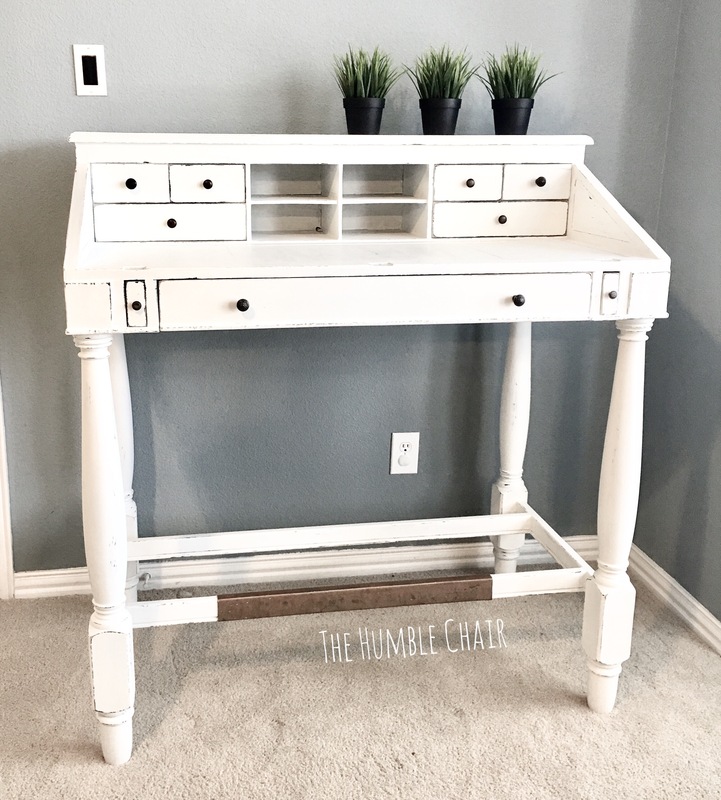 Chalk paint sticks to slick surfaces well and distresses beautifully. It’s also easy to obtain fabulous layers with different colored paints and waxes. It’s not the perfect paint for every project, but it comes in handy at times. 1. 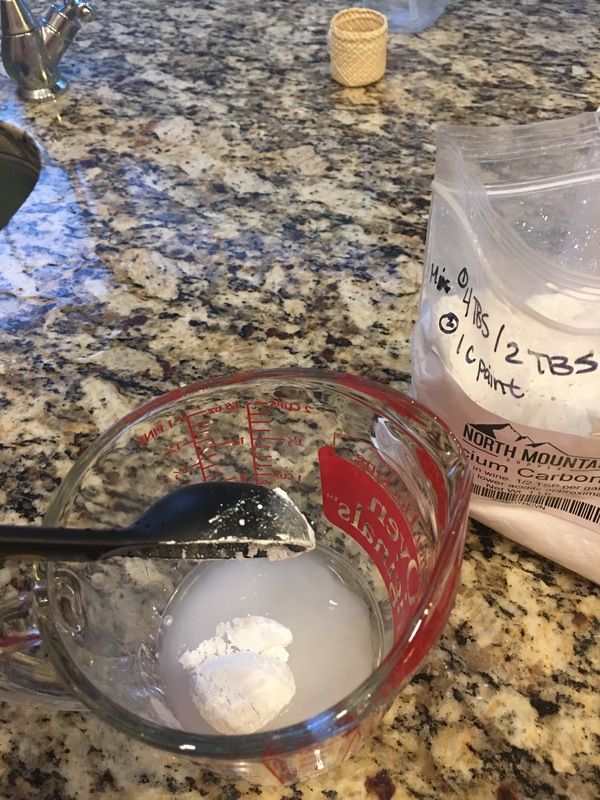 Mix 2tbs hot water with 4tbs calcium carbonate powder. 2. 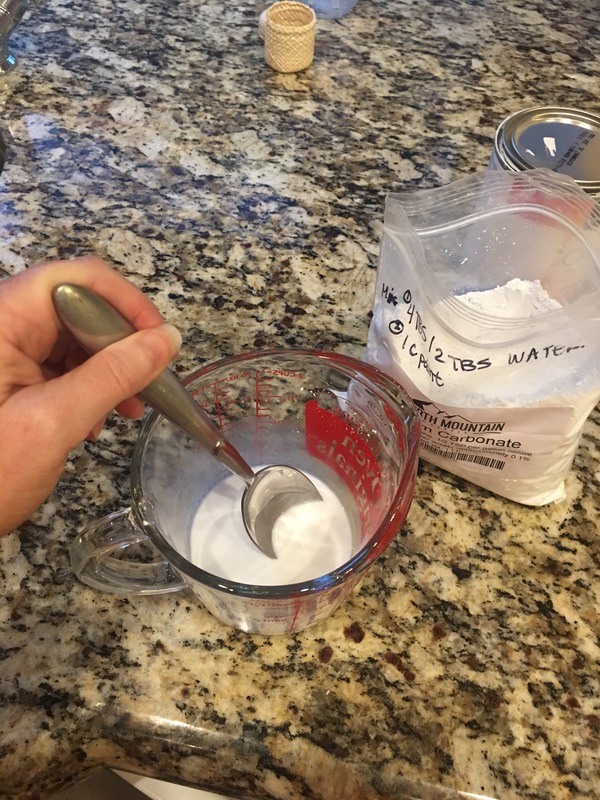 Mix for a “pancake batter” type consistency. 3. Add 1 cup of latex paint. “Flat” sheen works the best, but “eggshell” is fine too. Store paint for up to a week in an airtight container. 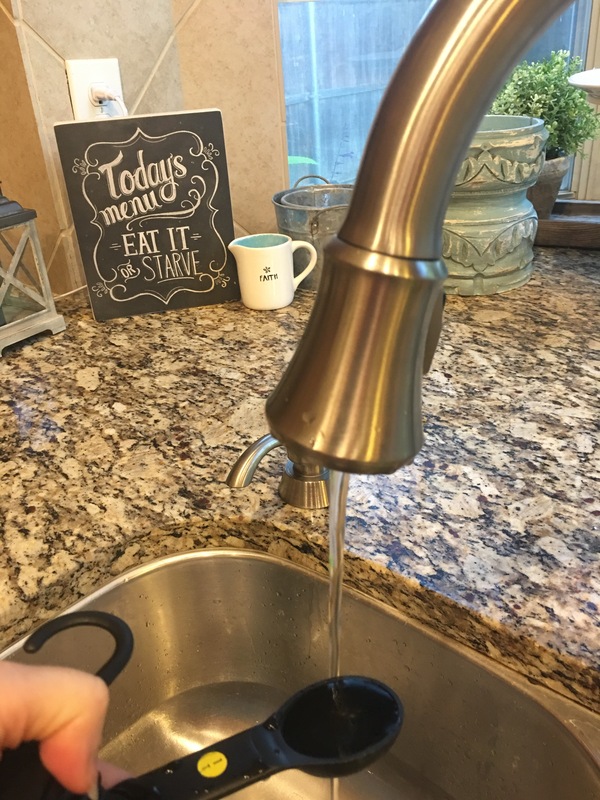 If paint is too thick, add water. If paint is too runny, let it sit open for a few hours. Paint your favorite project and seal with polycrilic or wax! You’ll be surprised at how much it covers! This desk required less than 1/2 of a quart of paint! Try buying sample sizes! At $8 or less, you’ve just saved almost $35 from the big (unnamed) manufacturer’s fancy paint! 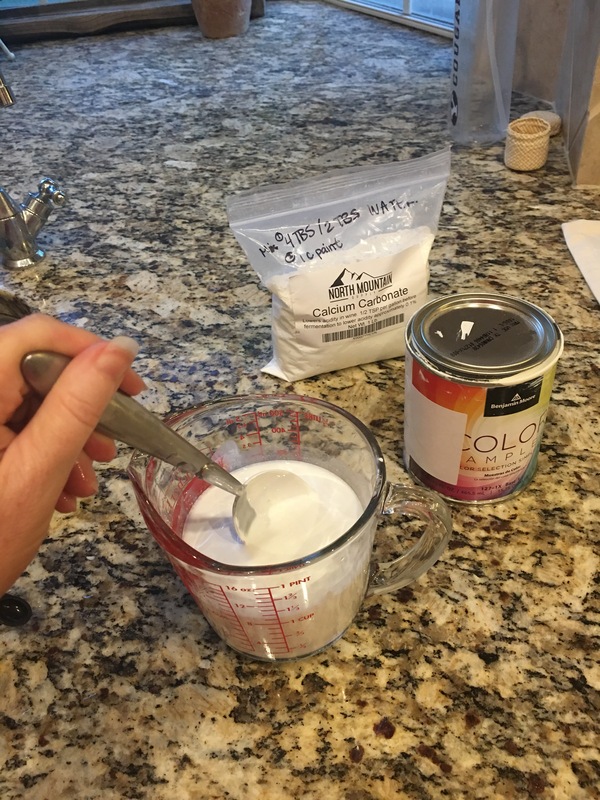 Do you have a favorite color that only the big chalk paint manufacturer makes? Check out Pinterest for a list of those colors in Sherwin Williams and Benjamin Moore colors. Now it’s your turn: What are some chalk paint fails you’ve experienced? Has every project been amazing? 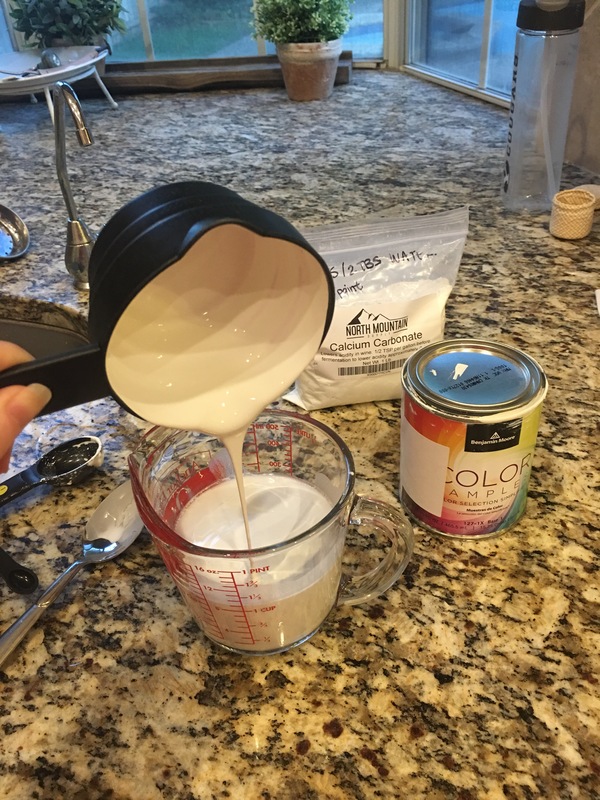 Do you love chalk paint? Or do you kind of hate it? !